The value of a coin is generally determined by three factors, rarity, demand and condition. 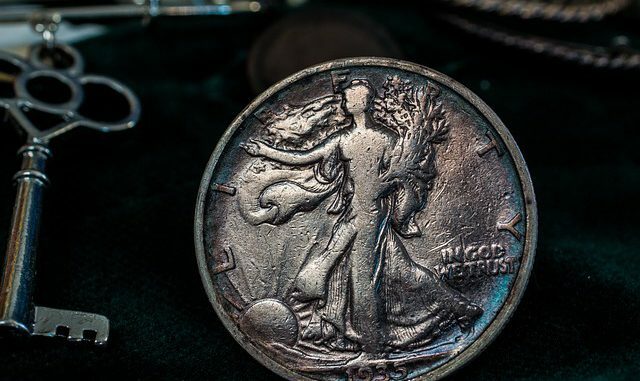 Amateur coin collectors and investors are easily able to determine if a coin has rarity or demand, few could say they are knowledgeable in determining the condition of a coin. Condition is everything when two like coins compete for best price, would you buy the MS 63 Penny or the VF Penny? Gem Uncirculated – Full mint lustre, virtually flawless strike, any detracting marks are insignificant, great eye appeal & beautiful fields. UNC -Uncirculated – Good eye appeal, no significant detracting marks, may have some insignificant bagging, good strike and should have lustre present. No damage to the rim. EF – Extra Fine – Lightly worn on the high points only. Usually has been withdrawn from circulation early. Still has some lustre and should have very good eye appeal. Insignificant rim marks only. VF – Very Fine – Has obvious wear to the high points of the coin through considerable circulation. Rim shows some light damage / marks. The coin pattern should still be crisp and most importantly, the coin should look good to the eye. Traces of lustre present. F – Fine – Well circulated coin with extensive wear on the design. Average at best. VG – Very Good – You can just make out the date and design, nearly all other pattern detail is gone. If you are after a more accurate picture this is the Grading system used by professional coin grading companies. It is called the Sheldon System and provides a more detailed description. Many rare Australian coins are sent to companies like PCGS in the USA, returning with a grade from this system. Poor – 1 A coin in this condition can just be identified; its date and detail may be completely worn, the coin is usually has a smooth flat surface. Fair – 2 A coin in fair condition may have the date and half the major detail faintly recognisable, mostly a smooth, flat coin. Good (G-4) This coin will be heavily worn, its major detail weak. The main designs will be recognisable. Very Good (VG-8) Most of the major detail visible but heavily worn. Fine (F-12) Finer Detail is visible though worn heavily, major detail apparent. Very Fine (VF-20) A coin in this condition should have a moderate even wear and all major features should be visible. Extremely Fine (XF-40) This coin should have traces of mint lustre. There should be slight wear on the high points of many designs. About Un-circulated (AU-50) Mint lustre will be evident. There will be faint traces of wear in the highest points. All other high points should be clearly visible, while showing no wear in the design on the lower areas. Mint State (MS-60) Completely un-circulated condition. Excellent lustre – though it may not be evident across all fields. The coin may have a few marks, a natural result from minting and transportation. Mint State (MS-65) Full mint lustre on all of the coin’s surfaces. No detracting marks at all. It all seems like a bit much at first but it’s easiest if you start at the top and work down to determine a coin’s grade. For example if your coin has detracting marks it will be below MS 65, faint traces of wear and it will be below MS 60. Coin grading is an essential skill and very contentious when Investors / Collectors disagree on a coin’s grade. It can mean hundreds, thousands and even millions of dollars difference to the value of a coin. It is quite well known that many investors send their coins to grading companies several times over in the hope of a better outcome. Article Source: Coin Grading – Get it Right the First Time You Invest!